For nearly 30 years, NEF has developed sustainable, community-based approaches to manage forests, fisheries, rangelands, and agricultural lands in Mali. NEF projects alleviate poverty, reduce conflict, and build institutional capacity in a region that is vulnerable to famine, climate change, and disputes over natural resources. Operating out of a principle office in the Douentza district, the NEF team of 40 local development professionals works to implement programs that are consistently community-based, participatory, and multi-sectoral. NEF also coordinates a national-level working group on climate adaptation and assists Mali’s government in climate policy—including participating in Mali’s official delegation to international climate negotiations. NEF began its involvement in Mali in 1984, in response to a severe drought that left the country in socio-economic crisis. To improve agricultural resilience, NEF assisted communities in the Mopti region to establish local cereal and seed banks. Since then, NEF has become a leader and innovator in Mali. Combining rights-based institutional development, policy research and advocacy, and capacity building for local governments and community-based organizations, the models for sustainable natural resource management developed by NEF in rural Mali have spread across Africa. NEF has fostered long-standing relationships of trust in Mali by proving its effectiveness with successful initiatives at multiple scales—from isolated villages, to local governments, to the national policy arena. NEF’s current projects in Mali are funded by U.S. Agency for International Development Office of Food For Peace, the Rain Foundation, the Embassy of the Kingdom of the Netherlands in Bamako, and United Kingdom’s Department of International Development. DCF is an action-research and advocacy project supporting communities in Senegal and Mali to become more resilient to climate change. It is part of the UK-government funded program, Building Resilience and Adaptation to Climate Extremes and Disasters (BRACED). The Near East Foundation leads the project with partners Innovation, Environnement et Développement en Afrique (IED-Afrique) and the International Institute for Environment and Development (IIED). Over three years, NEF will work with national, regional, and local governments in Mali and Senegal to establish 6 Climate Adaptation Funds (CAF) of £500,000 (about 445 million CFA Francs) that will finance public goods investments designed to build community resilience to climate change. Vulnerable communities will identify and prioritize investments through participatory, local level processes that are inclusive of women and youth. NEF will also equip local governments with the financial and planning systems they need to manage the CAFs in a transparent and accountable manner, and integrate climate adaptation strategies into long-term local development planning. For more information about BRACED, please visit our BRACED project page. This project works with conflict-affected communities in Mali's Mopti region and aims to support 200 communities in developing local conventions and land-use management plans to improve food security, sustainable natural resource management, and conflict management. These efforts support the implementation of community-level micro-projects to improve productivity of natural resources, collective income generating projects, and improves value chains/market linkages for meat, fish and onions. NEF has so far worked with 80 communities to implement natural resource management projects, where 200 collective income generating projects have been developed, impacting 14,300 households and 100,000 people. Reducing food insecurity and supporting the economic recovery of 21,783 conflict- and drought-affected people in 18 communes in five Cercles in the Mopti and Timbuktu regions. Building upon successes achieved under NEF’s RECAPE II project, this next iteration employs commodity-fixed food vouchers to support microenterprise recovery, expands market based access to seeds and tools, and introduces improved NRM activities in 16 communes to (1) improve vulnerable individuals’ access to food, (2) help households to rebuild productive assets and diversify livelihood strategies, and (3) jumpstart local economies through the resumption of trade and production. After launching in July 2015, baseline studies show that 3,080 microenterprise owners (2,310 women) received grain vouchers to offset household food costs, allowing them to redirect income toward the gradual recapitalization of their business. Using "seed protection" vouchers, 6,450 individuals (3,870 women) avoided consumption of household seed stocks at the height of the "lean season", and 1,150 individuals (559 women) planted ecologically and economically beneficial tree species. In 1992, NEF began pioneering creative and realistic long-term solutions to the water challenges facing people in northern Mali, with a focus on the Mopti region. Together with its local partners, NEF introduced simple technologies to improve the efficiency of water collection, storage, and use, including rainwater harvesting, surface water management, and spring catchment. This work helps villagers better manage their scarce water resources so that a greater number of people have access to a more abundant, stable water supply for multiple uses. (2014 - 2016) Because every village faces unique water resource constraints—based on rainfall patterns, groundwater availability, and springs—NEF has developed a range of strategies to adapt to a given area’s water supply and needs. In some cases, these are traditional techniques that are reintroduced or upgraded to improve efficiency and scale. Now communities across the region are better able to control the water on which their lives depend, resulting in the ability to lead more settled and prosperous lives. Microfinance is a powerful tool that poor families with little to no net worth can use to start small businesses, smooth gaps in household income and consumption, and build net worth. Unfortunately, many communities – particularly in isolated, rural areas – lack access to affordable credit and savings schemes. To address this gap, NEF began providing microfinance, savings, and wire services to women in the Mopti region in 1992 as part of its enterprise-oriented, anti-poverty work. In 1998, we founded an independent, women-owned and managed microfinance institution — Nayral NEF — to assume ownership over all lending and savings activity. To date, Dutch, U.S., Malian, and international governmental and private organizations have all contributed to the development of the association and its business. 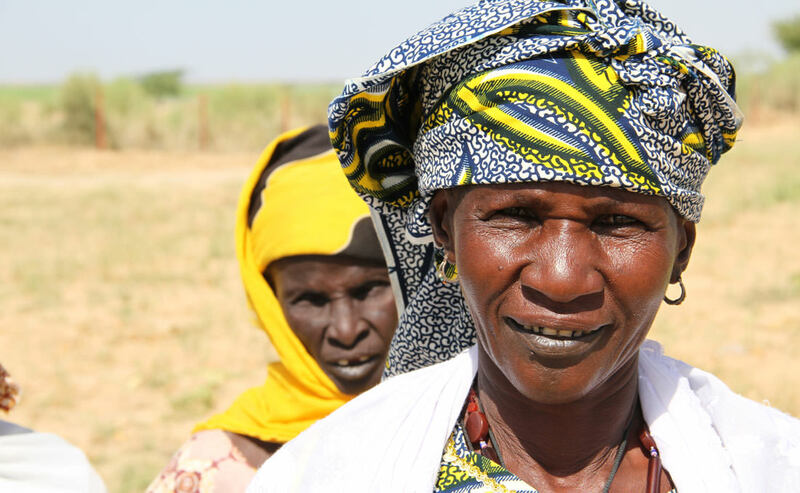 Since 1998, NAYRAL-NEF has lent roughly $11 million to more than 47,000 women across Mopti region. A combination of sound fiscal management and high repayment rates saw our revolving credit pool expand from $1 million to $3.7 million between 1998 and 2015. As of 2010, internal funds had grown from $100,000 to $882,753. NEF also works with the National Agricultural Development Bank to manage a revolving credit fund that supports agricultural production and food security among farming households. The fund enables producers to purchase grains and other vegetable products to be stored and re-sold between harvests when food stocks dwindle and market prices of staple foods tend to rise. Malians in Mopti and Timbuktu regions are slowly recovering from a cumulative humanitarian crisis unprecedented in the nation’s recent history – a pastoral crisis in 2010 and severe drought in 2011, followed by a coup d’état and subsequent violent occupation by Tuareg separatists and jihadists from 2012-2013. The occupation brought local economic activity to a halt: markets were closed, the flow of goods stopped, and women’s participation in economic development was severely limited. Rebels and jihadists destroyed market gardens, wells, and water pumps, and stole plows and cattle left behind by the more than 250,000 Malians who fled the violence. The French army eventually drove the militants out of the region and into the North, allowing the displaced to return home. However, weak rains, pest infestations, and a lack of assets kept returnees from restarting food production and reopening their businesses. Project activities contributed to immediate recovery through targeted interventions designed to shore up short-term food security, restore means of production, and get local markets working again. NEF-Mali distributed millet vouchers to 4,000 small business owners to cover household food needs for 3 months, empowering owners to rebuild and restock their damaged workshops and looted inputs with money they would have otherwise spent on food. The project team also reconstructed and restocked 11 fishpond and 19 community wells and pastoral water points, and rehabilitated over 700 ha of irrigated rice fields and rangeland to the benefit of more than 65,000 individuals – half of them women – and 300,000 head of livestock.